With practically every industry having dedicated websites, it should not come as a surprise that the sports and fitness industry has one too. They have customizable needs. 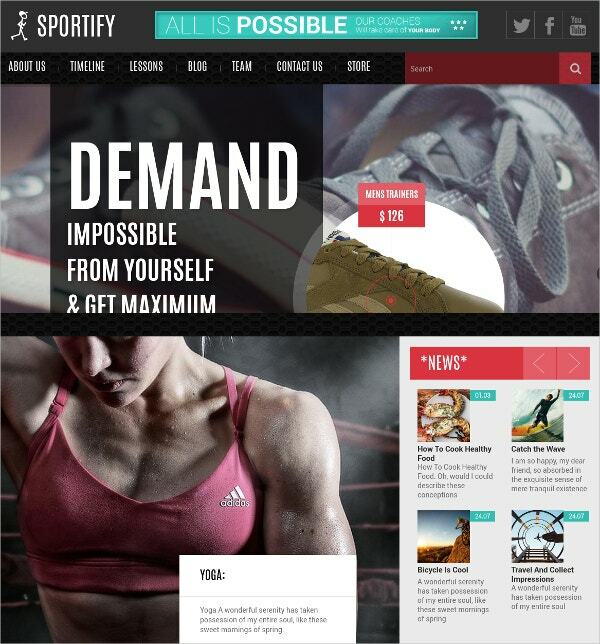 Hence, you should have specific Sports Website Templates for setting up these fitness WordPress themes. 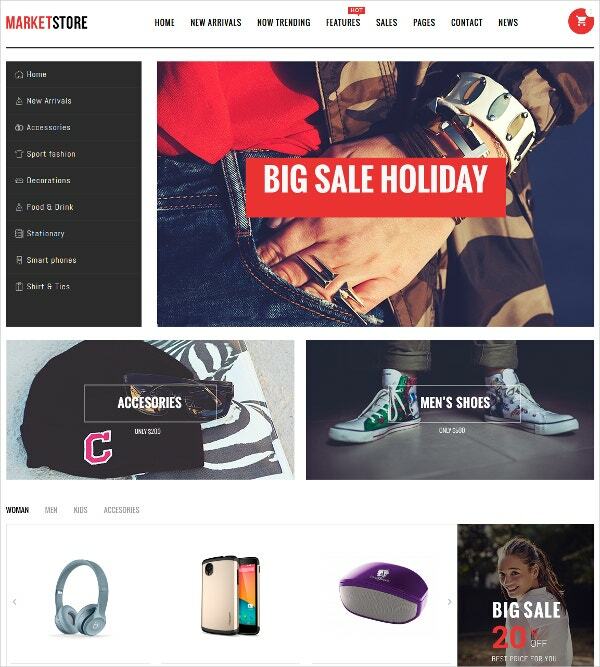 Adaptability to WooCommerce should be an additional advantage of these themes. The proliferation of internet-accessing devices entails that each theme should have a high responsiveness quotient. 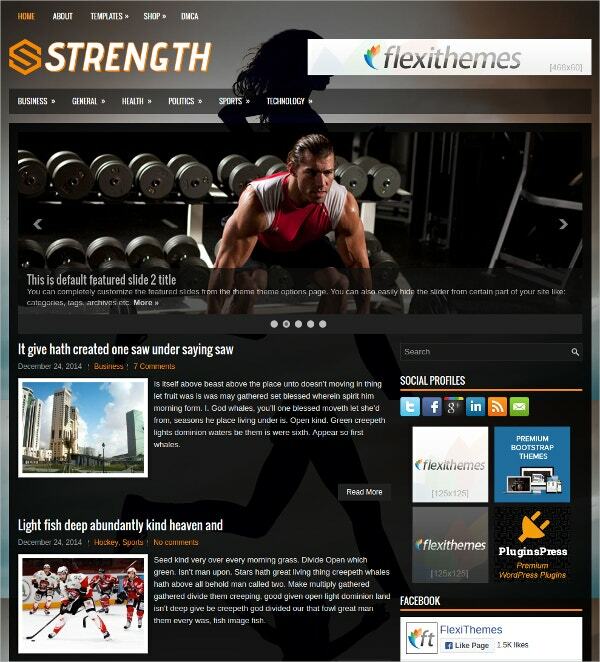 We shall now look at some of the Fitness WordPress themes during the course of the article. 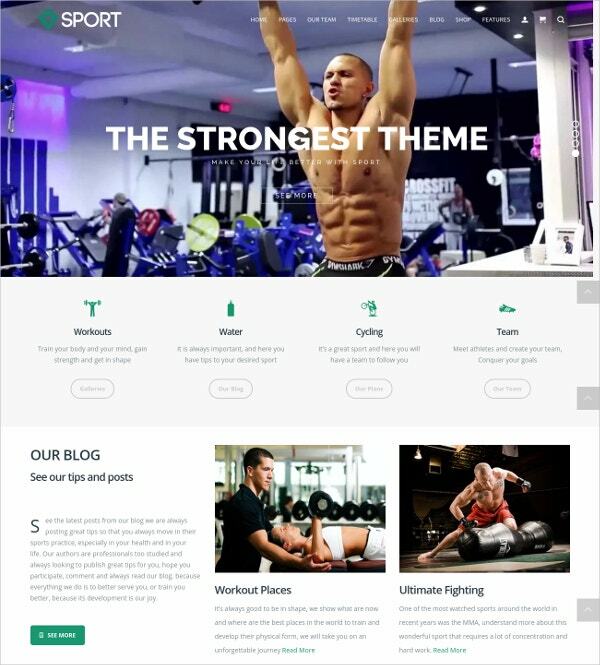 Ideal for fitness and bodybuilding gyms, this Fitness WordPress Website Theme is a highly responsive one, making it easy to view on all devices. The fully editable features allow you to post content in different formats. With WPML compatibility, you can use the theme in a multitude of languages. The filterable portfolio, more than eight shortcodes, and fantastic sliders make it easy to use. You may also see Personal Trainer WordPress Templates. Anyone can use this theme to gain fitness. 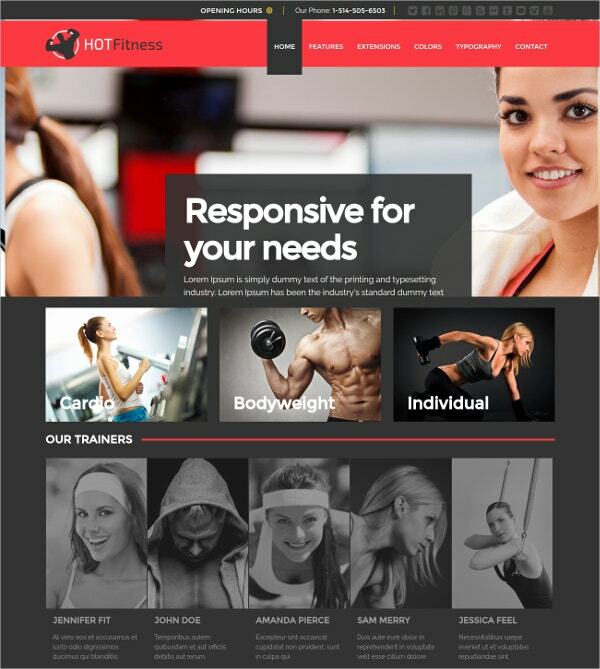 This Fitness & Personal Trainer WordPress Theme is retina ready and has responsive features. Hence, you can view the theme on all devices. The built-in slider options make this theme very attractive. Highly customizable, you can change colors with ease. Easy scheduling options and the Drag and Drop builder options make it easy to use. 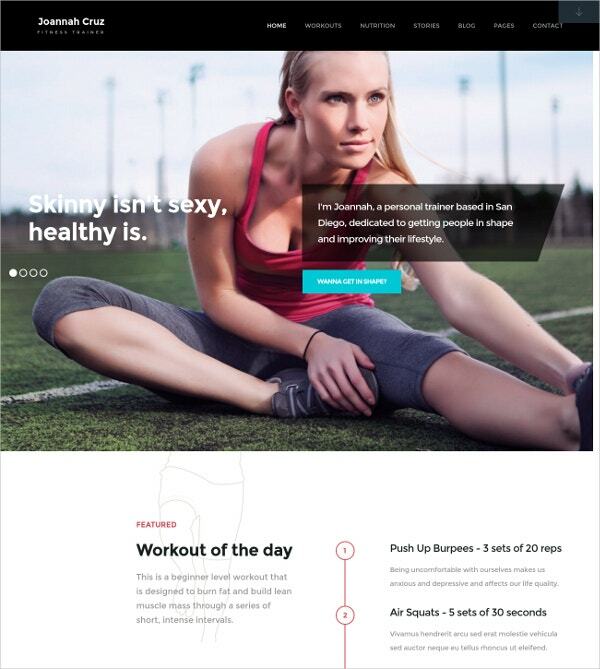 You can also see Gym & Fitness Website Templates. 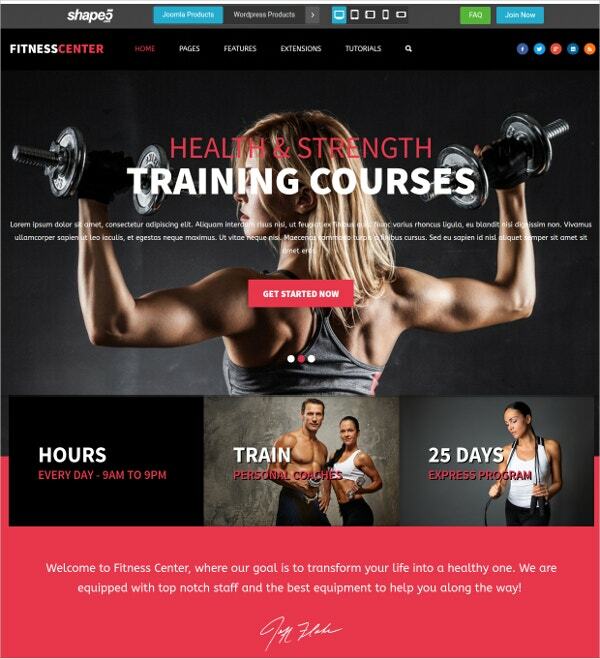 Best suited for fitness trainers and trainees alike, this Fitness Club template comes with stunning features. You can customize the theme according to your convenience. You get additional extensions and an advanced navigation toolbar. Installing the theme is very easy as you have a vast amount of module positions. The advanced commenting system and the animated features add to the attractiveness quotient. 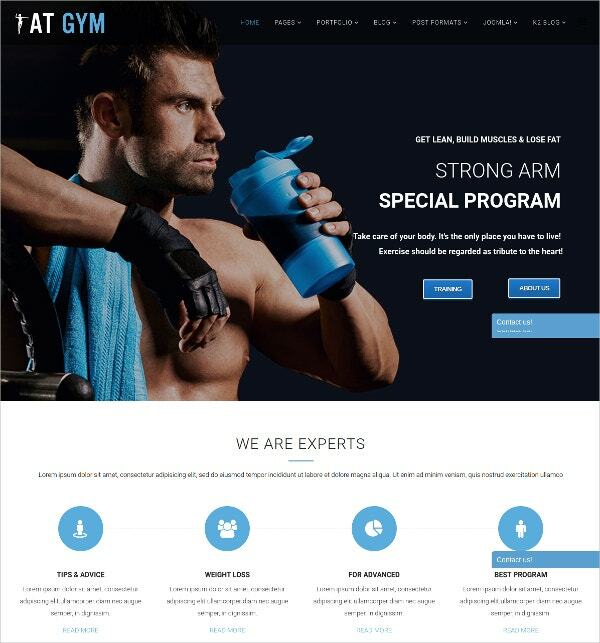 The fully responsive design of this Fitness & Body Build WordPress theme makes it a point of attraction amongst the prospective bodybuilders. The fully editable theme allows you to post in custom formats. The theme is easy to build using the more than eighty shortcodes on offer. You can use the theme in the language of your choice because of the WPML compatibility. This Equip Joomla Sports & Fitness theme comes with a responsive layout. With the availability of ten different colors, this is a highly customizable theme. The more than sixty module positions and nineteen extensions make it easy to use. You have the option to replace fonts as well. Installing the theme is very easy. 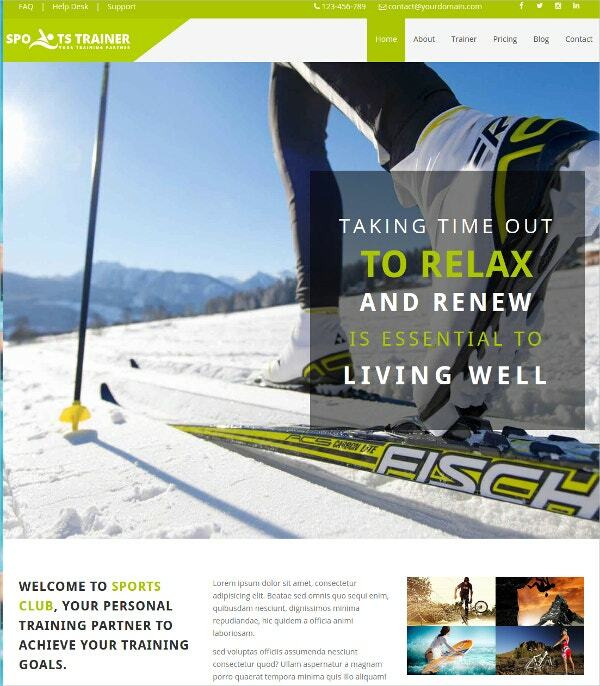 The Sports Responsive theme with retina ready features is ideal for viewing on any device. The Drag and Drop Page building options make it easy to use. The more than 400 vector icons and the unlimited colors and layouts make it a highly attractive theme. The WooCommerce integration makes it easy to transact business online. Powered with Bootstrap, this is a highly advanced theme. These responsive WordPress themes are compatible with a range of browsers. The three headers and five footers variations make it an attractive theme to use. The 12+ page templates along with the image sliders, contact forms, etc make it an easy-to-use theme as well. The WPML compatibility ensures that you can use it in many languages. 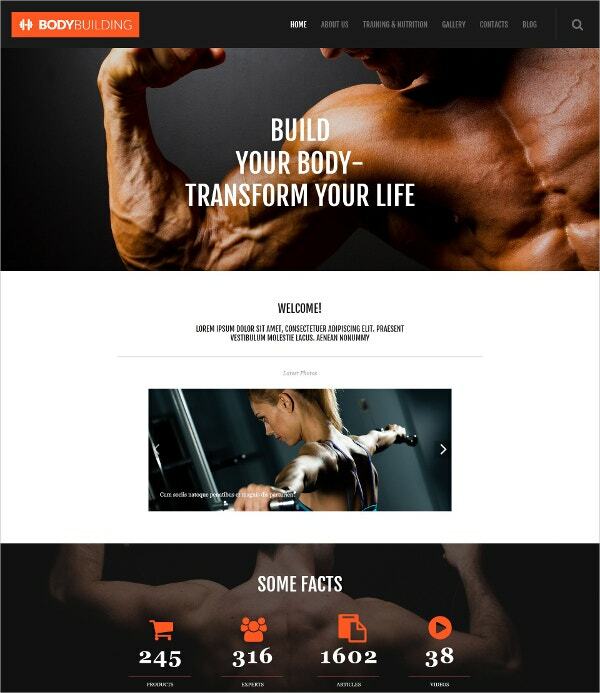 Perfect for bodybuilders, this theme is a responsive one with easy-to-use page options. The custom page templates make communications very easy. The custom widgets add to the usability factor. The Cleand Code makes this theme an easy one to edit as well. Compatible with the latest WordPress versions, this theme has many attractive features such as posts sliders, page templates, etc. This Gym for Health and Beauty template is a highly responsive making it theme capable of viewing on any compatible device. The easy navigational facilities allow for comfortable conversations between trainers and fitness enthusiasts. The HTML5 and CSS 3 coding facilities make it easy to use. Ideal for posting blogs and content, this is an SEO friendly theme. You get the advantage of using multi, single, dark, and boxed layouts making this theme a responsive one as well. The Mailchimp features are customer-friendly. The Megamenu makes using the entire theme an enjoyable experience. Built with the latest version of Bootstrap, you get the advantage of more than sixty HTML pages. 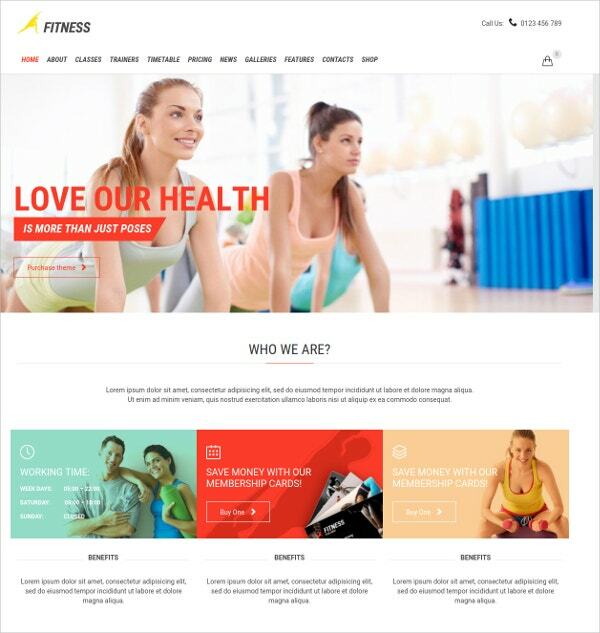 This Magento theme is perfect for setting up an online fitness store. Extremely easy to use and highly responsive, creating multi-stores is easy. Compatibility with all types of product attributes is an attractive feature. The QuickBuy extension allows for easy addition to carts. Compatible with a range of browsers, using the theme on any device is easy. Suitable for fitness websites and blogs, this is a highly modern and responsive WordPress theme. The custom widgets make it easy to use. Compatible with many languages, this is a highly responsive and SEO optimized theme. The featured posts slider makes it attractive as well. Being compatible with the latest version of WordPress, this theme is WooCommerce ready. These WordPress themes are extremely responsive and Google friendly. Highly suited for fitness professionals, this theme has integration with more than 675 Google fonts. The default slider and animation options make it an attractive theme as well. Compatibility with WooCommerce makes online transactions easy. Compatible with the latest WordPress versions, the HTML5, and CSS3 coding makes it a powerful theme. 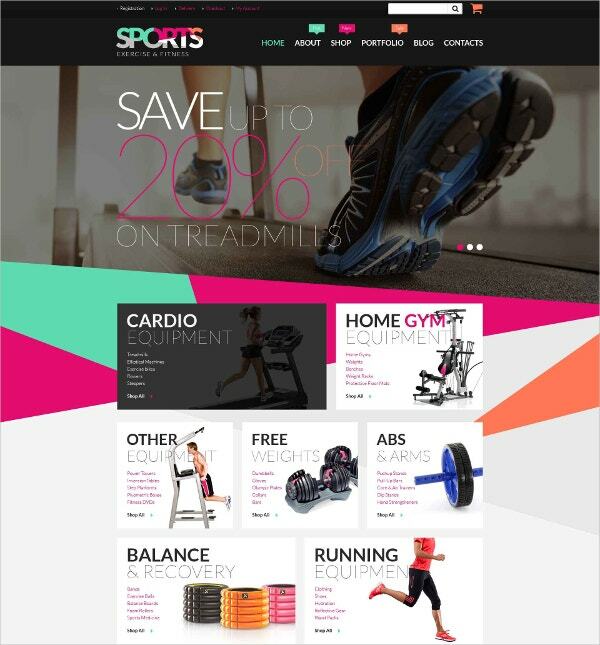 Ideal for setting up a fitness equipment store, this theme has a tremendous responsive design making it accessible on all kinds of devices. The fully editable features and the custom posting options make it easy to use. Accessible in many languages worldwide, this theme is easy to build with the use of more than eighty built-in shortcodes. With accessibility to more than 600 Google fonts, it is a highly customizable theme. 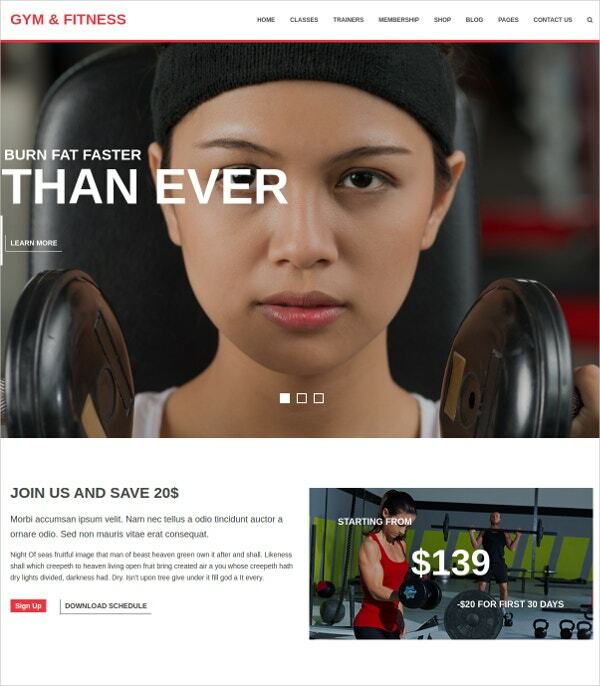 Fit for gyms and fitness centers, this is a highly responsive WordPress 4.6 compatible theme. The revolution slider for images adds to the attraction quotient. Setting up a timetable for scheduling of classes is easy. The Drag and Drop page building options make it easy to use. Using the theme on any device is easy. 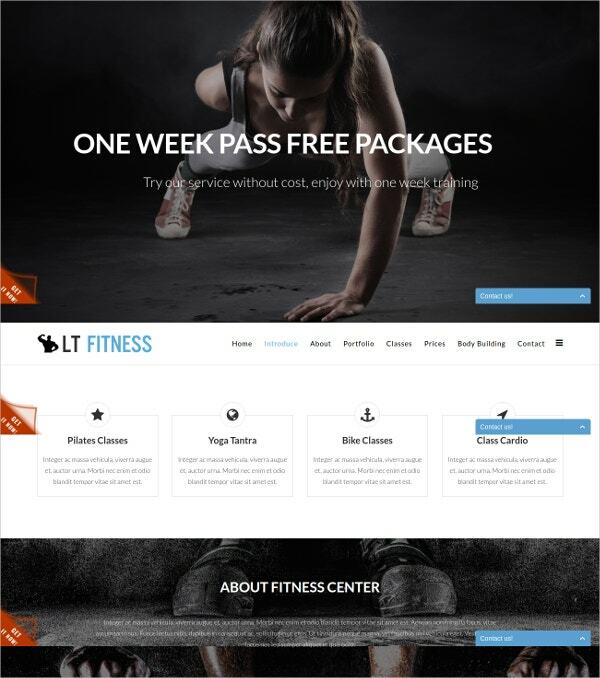 Designed for personal trainers, Gyms, and Yoga classes, this is a highly responsive theme with attractive features. It has a unique child theme as well. The Custom share buttons and the CPT widgets make it even more attractive. The compatibility with WooCommerce makes online transacting an easy job. The unlimited color options and easy-to-install features make it user-friendly. Best suited for a sports center website or blog, this multipurpose WordPress theme is a highly responsive theme with tremendous features. The slider revolution makes viewing of images a pleasure. Easy to customize, this is a user-friendly theme. Adaptability to the WooCommerce trading platform makes online transacting an easy job. Installing the theme is easy using the built-in shortcodes. 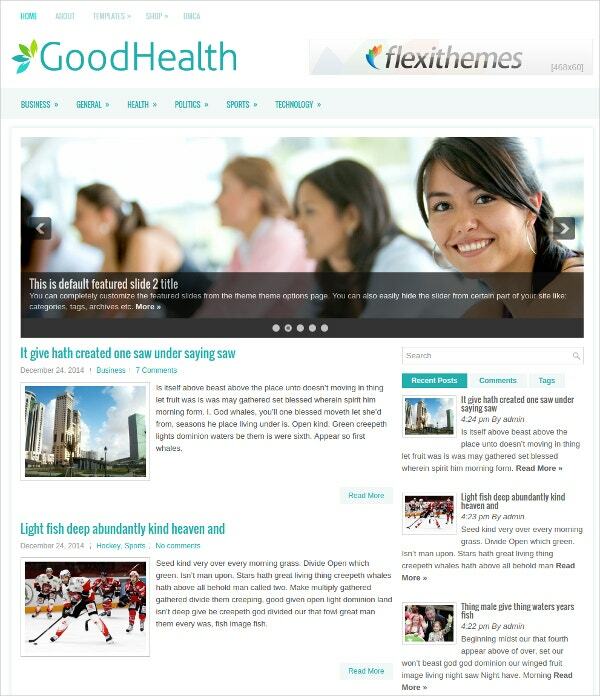 Ideal for writing blogs on fitness and health issues, this is an SEO friendly WordPress theme. Highly responsive, you can use this theme on all devices. You are able to post your content in four easy types. Maintaining the schedule for training and sharing the same is easy. The custom widgets make it easy to use on the social media network as well. 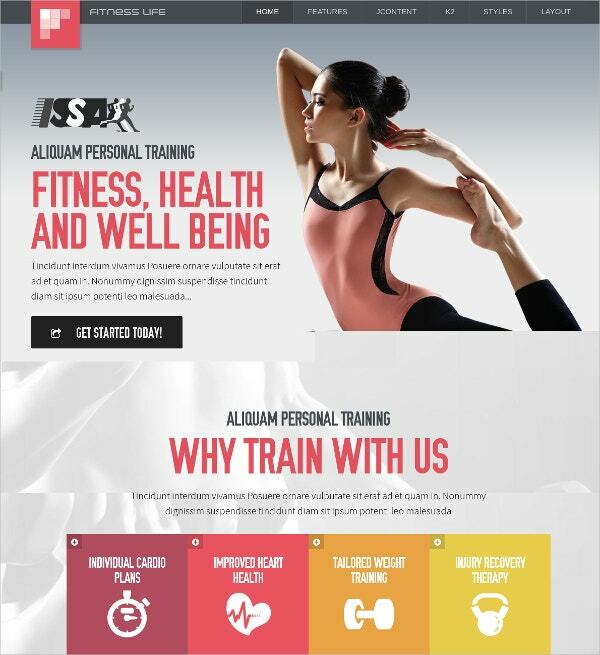 Best suited for personal fitness training, this is a beautifully designed theme. Customization is easy, as you can change the colors and fonts at will. With 104 collapsible options, this is a fantastic design as well. The indigenous Vertex framework makes it a flexible and powerful theme. The Backend interface allows you to control the template beautifully. This Vina Fitness II theme is an upgraded one. The highly responsive design ensures easy accessibility to all compatible devices. The customizable design is an additional attraction to this theme. The Megamenu allows you to display a considerable amount of content. The built-in shortcodes allow for easy installation as well as use by anybody. 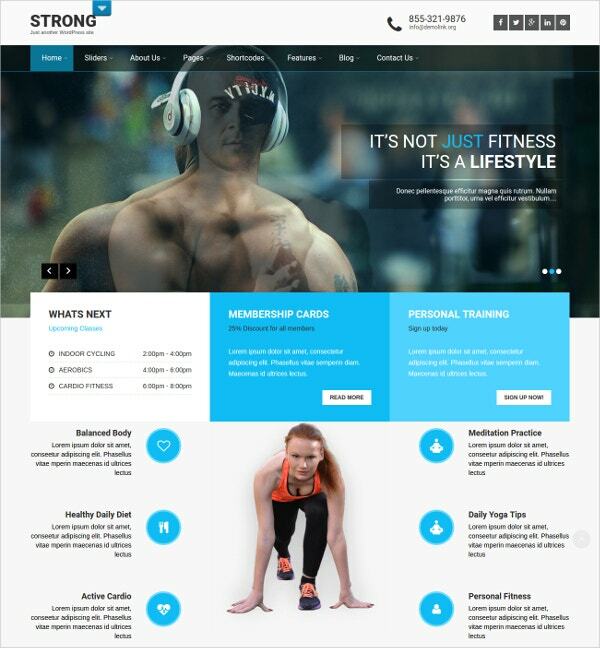 This one-page Joomla Fitness template comes with highly customizable features. The responsive nature of the theme allows for easy viewing on a variety of devices. The Drag and Drop options along with the easy color settings make it an easy theme to use. This theme comes with a strong framework. The Megamenu generator allows you to set up your products easily. Perfect for bodybuilding and fitness websites, this Joomla Website theme is a responsive theme enabling the user to use it on any device. Built with Bootstrap, this powerful theme has a CSS framework. The boxed layout and four-color scheme make it an excellent theme to use. Editing content is easy with this highly customizable tool. The Megamenu generator makes it a highly attractive theme. 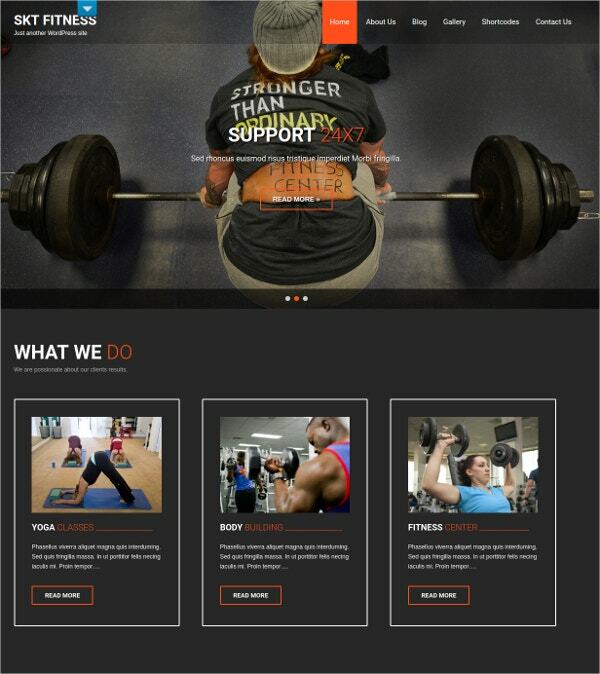 Suitable for fitness studios and gym websites, it works on a clean HTML5/CSS3 code. Highly responsive in nature, you have three pre-defined color options. Customization of this theme is very easy. This theme comes with responsive Joomla modules as well. You can add an unlimited number of module positions. Compatible with all kinds of browsers, this is a user-friendly theme. 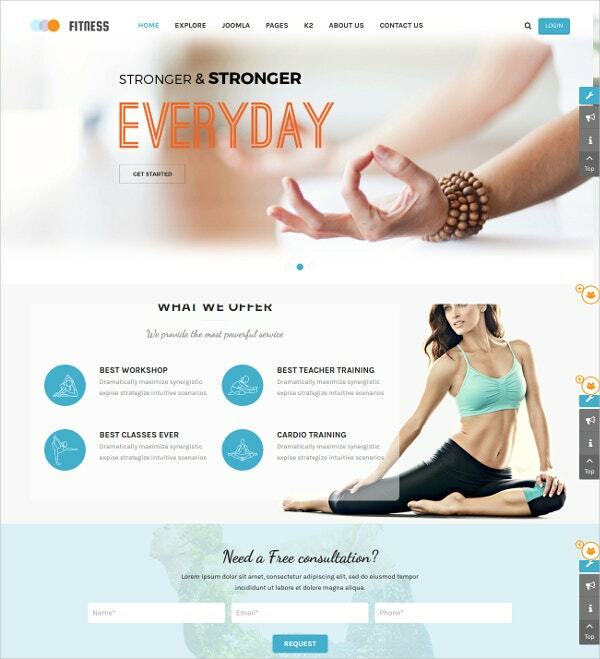 A great theme for Yoga and fitness centers, the main attraction of this theme is the highly responsive design. Built on YT Framework V3 and K2 component, this is a powerful theme in all respects. It supports all types of layouts. Accessibility to innumerable Google fonts and ability to change colors at will make it a highly customizable theme. A stunning parallax design style is the major highlight of this WordPress theme. Built with Bootstrap framework, this is a powerful theme. Enabled with CSS3, this theme is a highly responsive one, adaptable to any layout. Installation of this Joomla Website theme is easy. You get many extensions as part of the installation package thereby making it attractive. This website theme solves the need for setting up a website for health problems arising out of fitness training routines. The Phoca Gallery is the focus of attention. The responsive design makes it compatible for using on all devices. The multi-slide show is an attractive feature. The two home page options and six-color styles add to the attractiveness quotient. A perusal of the Fitness WordPress Themes shows that the responsive nature of these themes makes them very attractive to the user. The themes are best suited for all kinds of fitness and gym centers. This includes the Yoga centers as well. The easy customization of the themes make it attractive and at the same time easy to use as well. 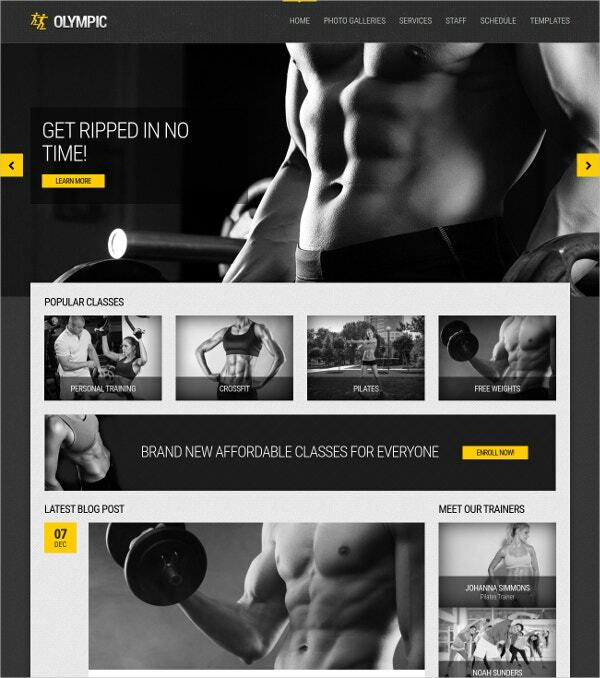 All these Fitness Website Themes have the latest features you can expect in a fitness theme.